In early 1950s Australia, after working for many years as a dressmaker in exclusive Parisian fashion houses, Tilly Dunnage (Kate Winslet), a beautiful and talented misfit, returns home to the tiny middle-of-nowhere town of Dungatar to right the wrongs of the past. 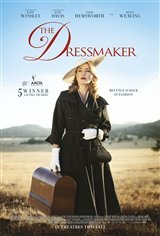 Not only does she reconcile with her ailing, eccentric mother Molly (Judy Davis), and unexpectedly falls in love with the pure-hearted Teddy (Liam Hemsworth), but armed with her sewing machine and incredible sense of style, Tilly sets out to right the wrongs of the past and transform the women of the town. Based on Rosalie Ham's bestselling novel.